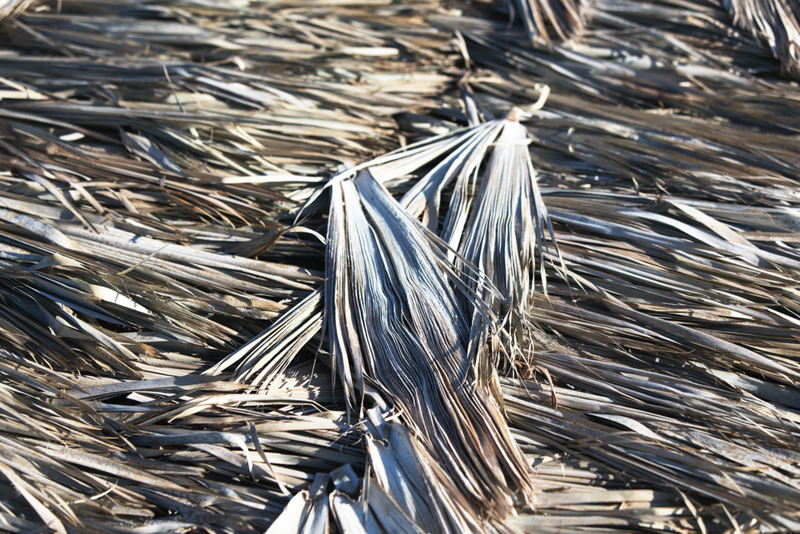 A palm tree important for biodiversity and for providing income to some of Brazil’s poorest people. “When everything else around is grey, the Carnauba tree stays green,” says Lara Pontes, describing the ‘tree of life’ as it is called by locals, and how it survives in the semi-arid Caatinga region, a biodiverse area of north-eastern Brazil. Lara serves as President of her family’s fourth generation company, Pontes Indústria de Cera, that processes the wax and sells it to food, pharmaceutical and cosmetics companies (Read her full interview here). Used in products as varied as candy, cosmetics and shoe polish because of its hard and glossy qualities, Carnauba wax comes from trees that grow in the wild and are not cultivated. Local producers cut the leaves and dry them in the sun, a process that does not harm the integrity of the tree or the environment. A fine powder is then extracted from the leaves and taken to local refiners. The crop grows during the dry season, offering much-needed jobs for local communities when there is no rain and fewer opportunities to work in agriculture. The tree is considered so important in the region that its straw is often found in handicrafts and local architecture. Its image is even featured on regional flags. In recent years, however, the Brazilian government has investigated and found poor working conditions in several of the country’s rural activities, including in Carnauba wax extraction. This is among the reasons that Lara is investing even more time and effort into ensuring her company is sourcing responsibly, including working with UEBT on improvements. “We have always believed in investing in people and protecting the environment. The partnership with UEBT was a vital instrument to redefine our methods to ensure respect for people and biodiversity.” Today, the company is building on its earlier actions in 2016 to share all of its supply chain information and audit reports with the government to help detect poor labour conditions. It has now launched a large educational program in the Carnauba fields, led by a team of fifteen local specialists including lawyers and health & safety engineers. Pontes has reached 81% of carnauba fields and distributed a wide range of thermal bottles, resting tents, personal protective equipment packages, and portable toilets. The training events also educate workers about good collection practices, and how to conserve the Carnauba trees for the benefit of local biodiversity. The Carnauba collectors act as independent contractors and are not required to sell their Carnauba powder to the Pontes company in return for any training or equipment. The program empowers workers to understand their rights, offering free over-the-phone advice to workers seven days a week during the harvest season. As part of its work with UEBT, the company has submitted an improvement plan, making it the first carnauba wax manufacturer to be approved as a UEBT member. New members commit to working towards compliance with international standards for ethical sourcing and need to show improvement over time towards this goal. UEBT verifies the commitment and approves the company member’s workplan. Currently, there is no UEBT certified carnauba. Certification would be granted only once independent audits verify compliance with the Ethical BioTrade Standard (the UEBT standard) in the areas where carnauba wax is sourced. These audits help ensure adherence to the standard on sustainable use of biodiversity, fair and equitable benefit sharing, local development and labour rights. This includes auditing compliance with international regulations on human rights, wages and working conditions, as well as minimum age for work, freedom of association and collective bargaining, and occupational health and safety. “We believe the work we have been doing is not only important for the workers in the field, but also for the whole carnauba wax community, including the end customer who is assured that they are buying a product that promotes the well-being of individuals,” adds Lara. Pontes has recently joined the Initiative for Responsible Carnauba, a group of companies, non-profits (including UEBT), and government agencies who are working together to ensure more responsible production. The groups are hoping additional buyers and suppliers to will join the group, including Carnauba wax suppliers who will need to show steps to meeting the UEBT Ethical BioTrade Standard. Learn more about the Initiative for Responsible Carnauba.